Bring fun into your pediatric orthoses and watch patient compliance soar with new Transfer Lites™. Vacuum form into AFOs, KAFOs, TLSOs, and even cranial bands. BK foam interface used during vacuum forming. Low-profile design can be used with any character transfer, individual sports transfer, or patterned transfer that SPS sells, including Batman, Spiderman, police car, fire truck, etc. Skinergy Plus™ sets a new standard for silicone below-knee cosmeses. Reinforced with integrated mesh and advanced silicone materials, the new cosmetic covers provide significantly greater durability, appearance, and enhanced bond to the brim. Designed and manufactured ex­clus­ively by U.S. Orthotics, the PACO™ (Plastic Anterior Control Orthosis) is a three-point pressure orthosis that encourages mild-extended posture. Constructed of durable plastic and lined with soft foam, it includes double padding at the sternal and lower abdominal areas. Circumference straps easily adjust at its back pad. SADMERC verified L-0472. New products like these have made U.S. Orthotics an industry leader in the design, manufacture, and servicing of orthopedic products. Preferred by those who provide the best care for their patients. Made in the U.S.A.
OMEGA Tracer is the complete solution for clinicians interested in one system for all of their orthotic and prosthetic needs. With the OMEGA Scanner, clinicians can shape capture for cranials, spinals, AFOs, insoles, transtibial, transfemoral and breast prostheses. The OMEGA Tracer software allows clinicians to manipulate 3-D shape files. The software "wizards" mimic hand-modification processes for orthoses and prostheses, making the system easy and intuitive to use. 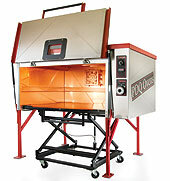 Once a shape file is finalized, clinicians may send files to an in-house carver or fabrication partner for production. 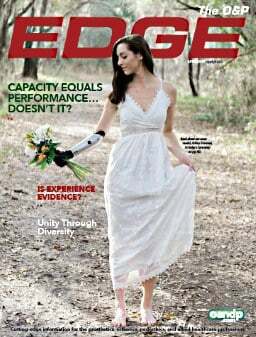 The prosthetist's dream! No more fumbling with old-fashioned Allen wrenches. Our new ratcheting wrench has both 4mm and 5mm hex heads and four length adjustments for reaching those hard-to-handle areas. The hex heads are also available separately. 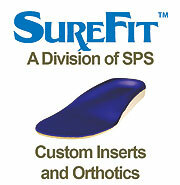 SPS has immediate availability of SureFit's custom inserts and orthotics to all O&P customers. 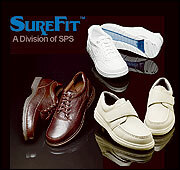 SureFit™, a division of SPS, is not just a name, it is what they deliver! SureFit's patented fitting system achieves what competitors can only dream of creating—the perfect fit for your patient. SureFit is so confident your patient will receive the correct fit that they guarantee it! SureFit's state-of-the-art manufacturing system ensures each pair of custom inserts precisely matches the shape of your patient's foot and their SureFit shoe of choice. Friddle's Orthopedic is proud to now offer the Royal Flush line of socks from Royal Knit. These wonderful socks stretch in both length and width, are form fitting, and—the best part—are simply wash and wear. The Royal Flush socks are latex free, resist shrinking, and are odor and mildew resistant. They are offered with and without a distal rubberized reinforced opening. Visit us online for pricing. 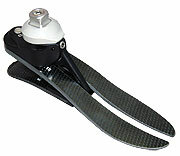 Finally, a Surform blade handle specifically for orthotic and prosthetic cast modification. The Modification Handle (#CD309) fits 10-inch half-round and flat blades. It allows for aggressive and fine modifications while keeping fingers and knuckles clear of abuse. It's designed for easy cleaning and quick blade replacement. Designed for low- to moderate-activity-level transtibial amputees, the new 6Y93 Balance Copolymer Liner keeps your patients in balance in more ways than one. The user-friendly, heat-moldable copolymer (TPE) material protects against socket forces for both cushion and locking liners, while encapsulated medical-grade mineral oil keeps skin supple and moisturized. Differing wall thicknesses provide 6mm of cushioning and reduced shear forces where your patients need it and 3mm of anti-bunching flexibility where they don't. Add the color-coded fabric, which makes it easy to correctly apply, and we have your patients (and you) covered. 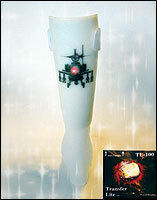 Orthomerica Products Inc. introduces the new Molded Inner Boot (MIB™), a valuable addition to TC Flex™ AFOs. Compared to normal liners, the MIB offers more comfort and strength. Softness and intimate fit are not compromised for durability in this flexible design. The MIB is almost impossible to tear. The new C39 Articulating Hyperextension Orthosis from Trulife is now available for same-day shipment from PEL Supply. Articulating or fixed pelvic band. Posterior pad may be used horizontally or vertically. Easy-to-use pull-strap to don or doff orthosis. New injection-molded thermoplastic locking closure. The AK Extreme Liner, available through SPS, provides an exceptional liner for active above-knee and below-knee amputees at an economical price. This inherent flexibility reduces your on-hand inventory cost and space requirements. Elimination of 80 percent of vertical stretch compared to other ALPS gel liners provides extreme contact with the residual limb. Movement of the redundant tissue is reduced, and pistoning is substantially reduced. ALPS' new GripGEL™ is more tactile than EZGel to gently but firmly support the residual limb and sensitive tissues. 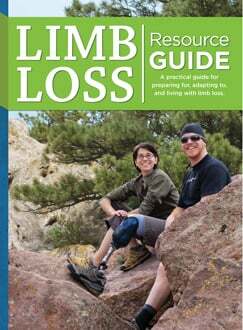 (L-5972) is ideal for assisted transfer for ankle disarticulation and transtibial levels. It is also well suited for the transfermoral level when used with a manual lock or safety knee. For bilateral assisted transfer, the K1 Flexible Keel should be used in conjunction with a K2 Energy Storing "K Series" foot (dominant side). The biomechanical design minimizes ground-reaction force without the added weight of an ankle joint. The weight of the keel, titanium pyramid, and integrated foot shell is 7 oz. (198g). Weight limit is 130-339 lb., depending on size. Patent and patent pending. EasyWear™ Belt: One size accommodates 32-50 in. waists. Easy adjustment: Stay-put gel band prevents migration and contains inner-thigh tissues. The seamless design with a contoured distal end improves fit and control while providing 20-25mm Hg medium compression. Easy ordering: Available in five widths, three lengths. Easy care: Machine wash, dry. Easy pricing! One size for economical inventories. Complimentary sample to first ten practitioners who call.